If you've ever asked yourself, "How can I make sure my gift reaches its full potential?" or "How will KCU students realize my support?" you'll find an answer in the KCU Scholar Match. KCU has always offered you the opportunity to benefit current and future students through the meaningful gift of scholarship. But from now until September 2019, that opportunity is worth double thanks to the KCU Scholar Match. What is the KCU Scholar Match? 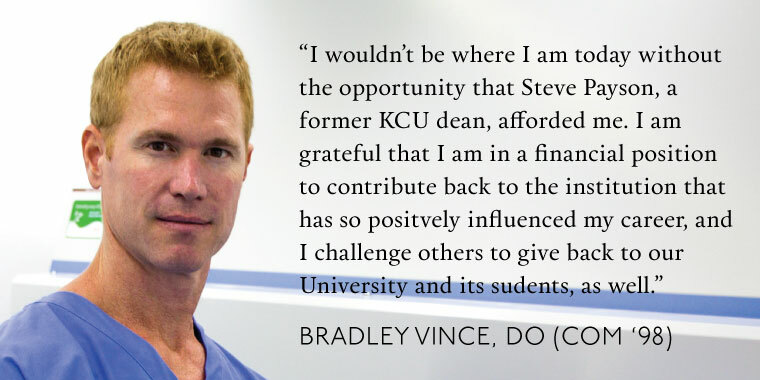 KCU’s potential to attract the next generation of bright and compassionate osteopathic physicians, research scientists and psychologists is dependent on our ability to be a university that not only supports students academically, but also holistically. And today, financial assistance is a necessary component of that comprehensive support system. Initiated by alumnus Bradley Vince, DO (COM ’98), Kansas City businessmen Brad Bergman and Tom McDonnell of the Jack and Glenna Wylie Charitable Foundation, the KCU Scholar Match maximizes the power of philanthropy by creating a $1 million fund that will match, dollar-for-dollar, every scholarship-designated contribution to KCU. Dr. Vince, Mr. Bergman and the Wylie Charitable Foundation have joined together to promise up to $1 million dollars in match funds, but KCU will only receive these gifts if donors like you join in the cause. You must designate your gift to KCU to “Scholarships” in order to take advantage of this matching opportunity. All scholarship donations made between now and September 2019 will be matched 1:1, up to a total of $1M. 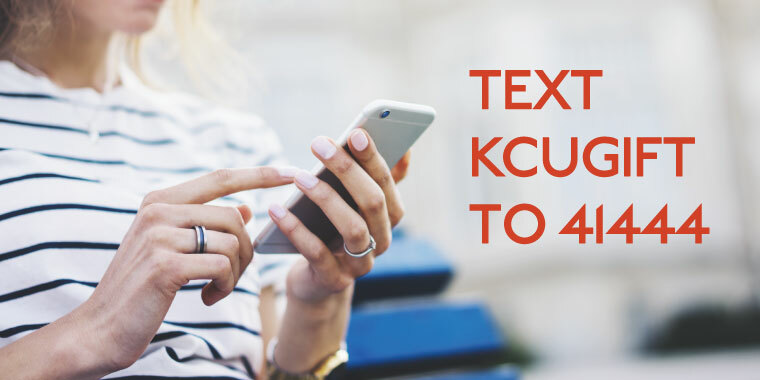 You can make your donation online by selecting Scholarship Match or by texting KCUGIFT to 41444. Please contact the KCU Advancement Office for more details at 816-654-7280 or alumni@kcumb.edu.